Its too simple as it requires not effort or time at all. Simply, mix all the ingredients except salt and pepper in a bowl and whisk really well. Then add salt and pepper and mix well. Your sauce is ready. Do check for seasoning or sweetness. If you don't like it too sweet, add little more vinegar. That's it. Isn't it a wonderful easy peasy sauce. Just drizzle this sauce over anything, pan friend chicken breast or roast chicken or even your salad. You will remember this flavor. Thanks for your time. 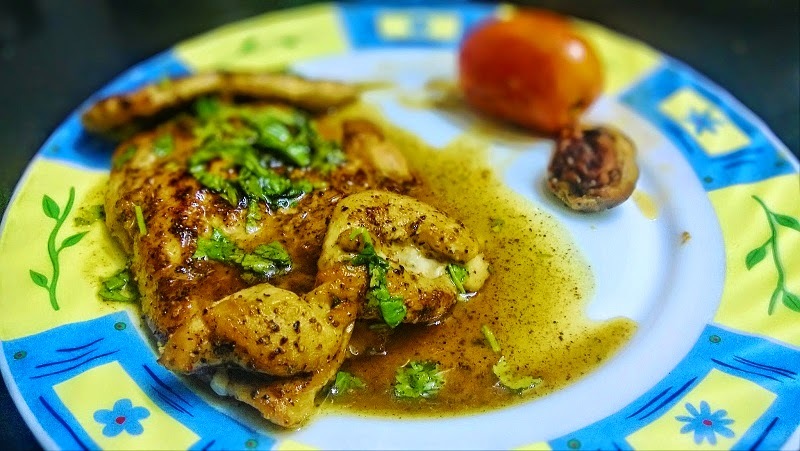 Do leave your comments below and do subscribe to my blog for more wonderful recipes.